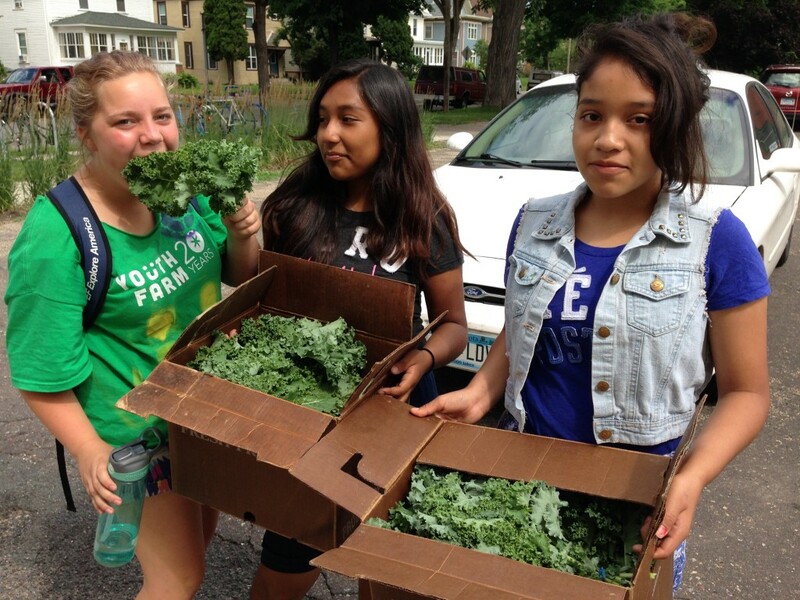 Mimi is a current Youth Farm Project LEAD in Lyndale and is also part of our Youth Program Quality Assessment team. She will be a monthly contributor to our blog – giving the inside scoop on her experiences as a Project LEAD. Read her introduction, below, for a sneak-peek of what to expect from her posts! Mimi (left) showing off some kale. Hi, my name is Mimi, and this will be my ninth summer at Youth Farm. Over the past nine summers, I have had an opportunity to grow up with community members who share some similar joys I do. One of the things that I love most about Youth Farm is the diversity of our whole community. Growing up with people with a range ethnic and religious backgrounds is an experience that I wish upon everyone. My monthly blog post will hopefully show you all what Youth Farm is like from the point of view of a Youth Farm Project LEAD. Have you met Mimi? http://t.co/zOdL8FSPxc Stay tuned for more in our April newsletter…coming soon!